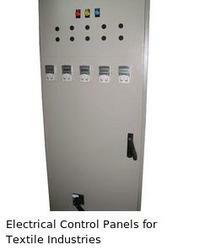 We manufacture a wide range of Electrical Control Panels that are made of superior quality and have a long lasting finish. These products can be customized with different sizes, shapes as per consumer requirements. Our range is available for the customer’s at the most competitive prices. This compact controller can be used in a variety of industrial applications, which meant for regulating the power flow in the electrical appliances.